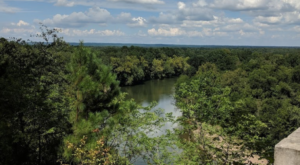 Different points of time are well preserved in places all throughout Arkansas but today’s particular cave may have the most extensive history of all. Buffalo Point’s Indian Cave Trail is as beautiful as it is historic. 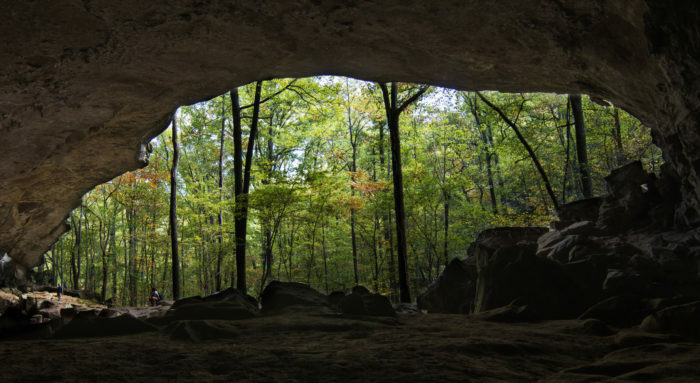 Let’s take a hike to this rock shelter and step where Arkansas’ first residents did over 9,000 years ago. Arkansas is home to many large rock shelters, but this one is certainly the most rewarding to reach. 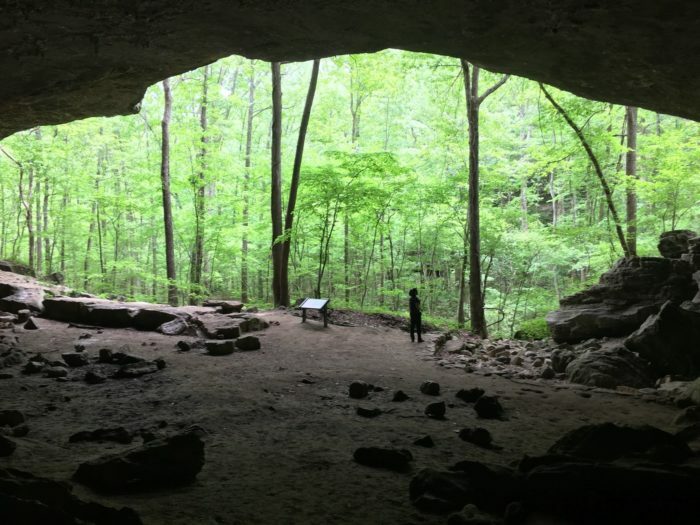 It's the featured bluff cave along Indian Rockhouse Trail. The trail is near the Buffalo National River but if you'd like more specific coordinates, visit this site. 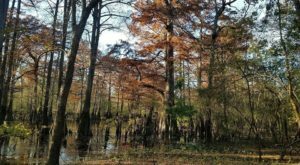 The trail has as much beauty as it does history, which is quite extensive! The 2.8-mile loop is rated as moderated and is fairly strenuous. 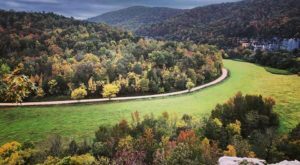 The trail does have about 400-ft. of elevation change so it may not be the best hike for young Arkansans. 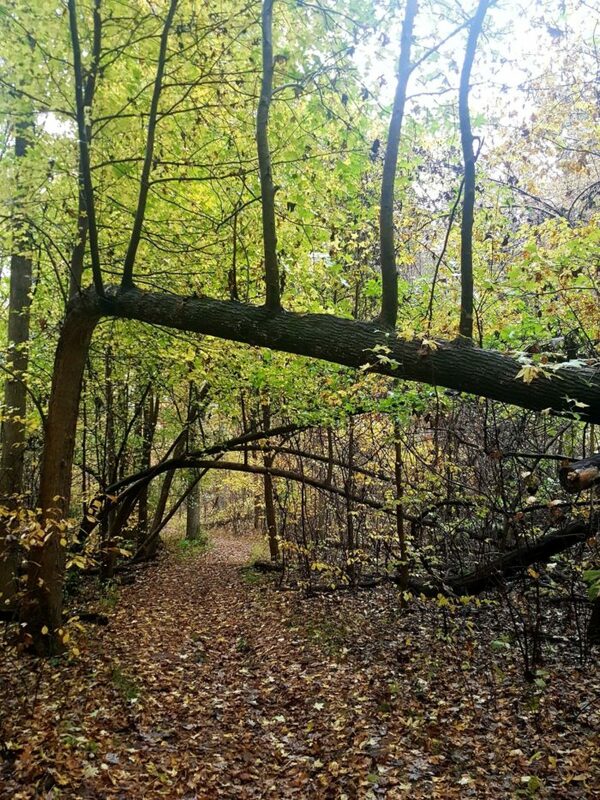 Although it's not the easiest trail, it certainly does have scenic payoffs all along the route. Before reaching the cave you'll pass quite a few noteworthy sites. 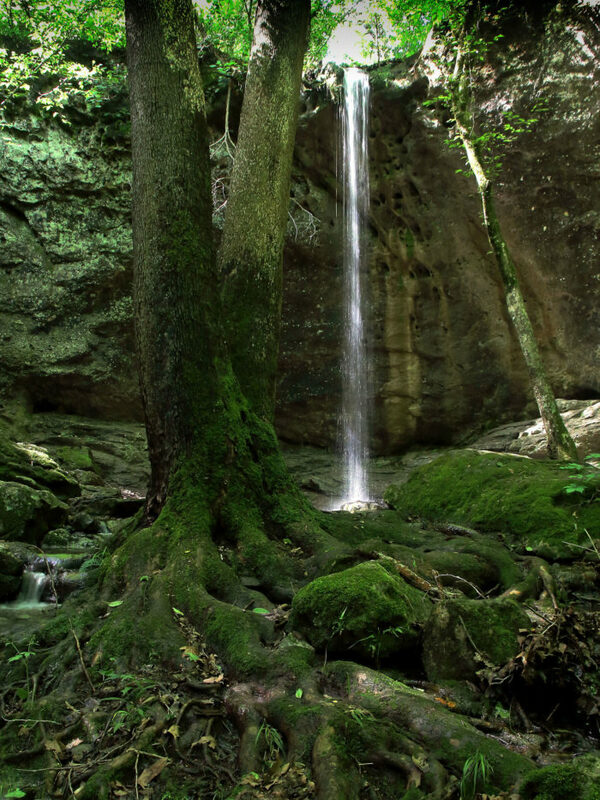 A cooling sinkhole, quarry, waterfall, and gorgeous creek are just some of the natural features along the trail. There's also an abandoned zinc mine that was established in the early 1800s. The cave is the perfect stop for a break and history lesson. It's interesting to note that the curator of the University of Arkansas Museum, Samuel Dellinger, led an exploration team to the cave in the 1930s, but the history of the cave goes back much further. 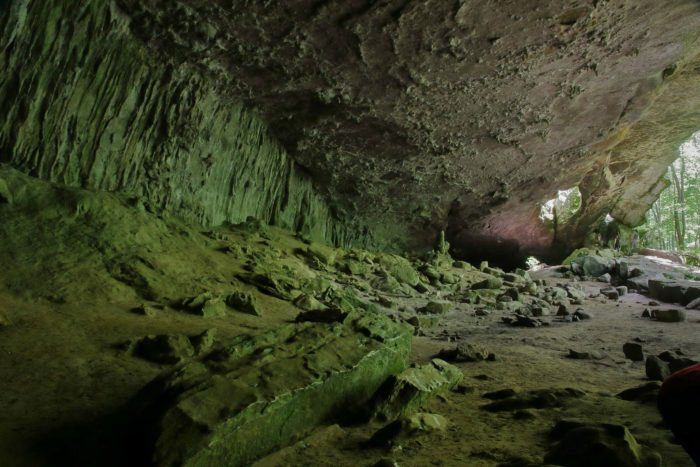 Excavations and radiocarbon dating has revealed that the early inhabitants of the Indian rockhouse arrived 200 years before Hernando de Soto. In addition to this, other artifacts found in the cave have been estimated to be over 9,000 years old! There's nothing quite like learning about Arkansas' first residents while standing in this historic gem. It's thrilling to know you're stepping in the same spots Native Americans did hundreds (or even thousands) of years ago. 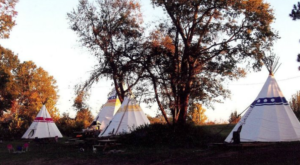 Have you taken this historic trail before? 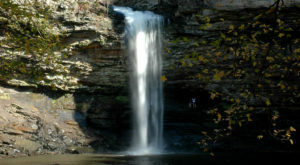 We’d love to see your photos in our Facebook Group, Arkansas Nature Lovers. 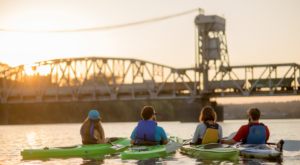 You should join for your chance to be featured and to discover why there’s nothing better than Arkansas’ stunning nature. 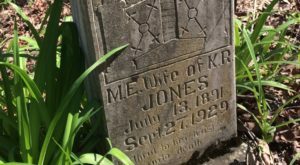 Another historic trail to take in the area is this hike that leads to an abandoned cemetery.